If you were using Paint.net without keyboard shortcuts, take look at this list. They'll not only make you faster on drawing lines, shapes or filling areas with color, but you'll also learn more about Paint.net features. Alternatively, in the Status Bar drag the slider or type a value in the percentage text box. ... or Click Finish on the toolbar. Note: x2 means pressing shortcut twice, x3 is pressing three times etc. To temporarily activate panning, hold Space and drag with left mouse button. 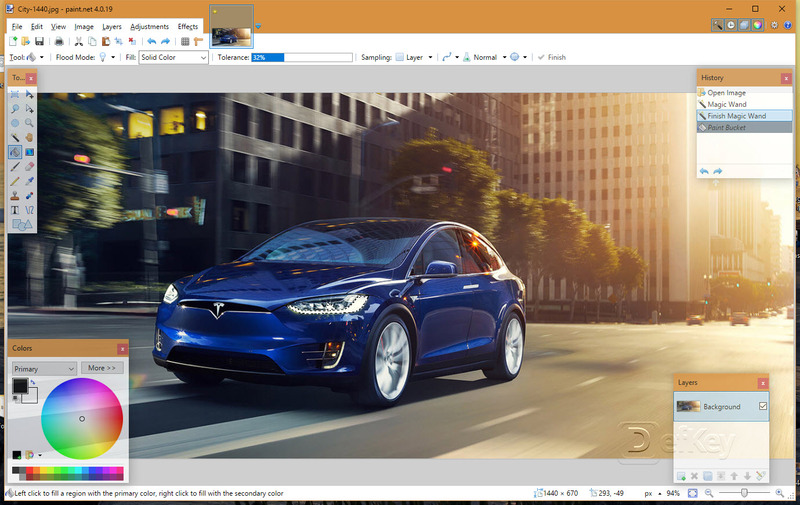 Paint.net is a free raster graphics editor for Windows. Developed on the .NET Framework, it was originally created by Washington State student Rick Brewster. Paint.net grew from a simple alternative for the Microsoft Paint into editor with layers, blending, transparency and plugin support. What is your favorite Paint.NET hotkey? Do you have any useful tips for program? Let other users know below.